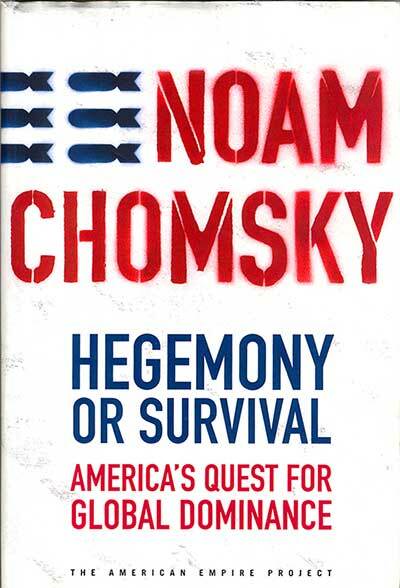 I’ve been reading Noam Chomsky’s Hegemony or Survival to gather information on the American war machine which I shall now characterize as the “Warlords” for my Faustian scenario. Wed 1 Jul: Andreas to Cataldi in Italy to work on Gold Label and to go to the beach on the weekend. I do an interview for Lorna for a film she is making re: my activism. She wants me to talk about my childhood. I do another interview in a couple of weeks’ time and then she can keep putting everything together. Thur 2 Jul: Politicians R CRIMINALS: I shall do a talk-to-camera for the Internet, starting today, building the campaign one point at a time each Thursday. The purpose is to replace the word politician by the word CRIMINAL so that it enters the public consciousness; so people will come to know that these criminals are anti-people and that survival depends upon our rejection of the terrible political agenda which will kill us. Fight for Life! 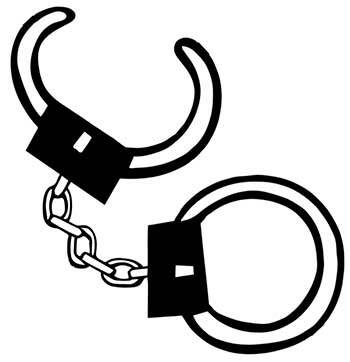 The ‘first’ talk, today – I will ask people one thing: say CRIMINAL. Though people know politicians are criminals they focus on petty things – stuff like the expenses scandal even though they feel it’s bigger than that. They know austerity’s a fiddle and many of us hate Tony Blair as a war criminal, a man who is responsible for death by the thousand and is free to deny it. I need to get it across that every one of their policies is a crime against humanity. 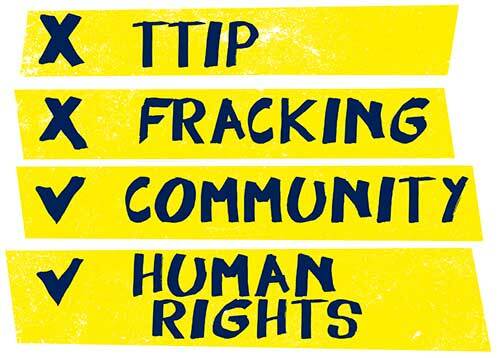 Starting with TTIP, TTIP gives absolute proof: any politician who wishes to implement TTIP is a criminal because he is anti-people. I never thought politicians would have the gall to show their hand so obviously. But they did with TTIP. It’s like they are proud to be CRIMINALS. So now we know and we have to deal with them. They feel so safe playing their game of destruction, together with the Giants (monopolies) and backed by the Faceless Evil (Central Banks) and the American War Machine, and served by their PR – the mainstream media. I have begun to see our global politics as a war game run by criminals who are going to wipe the board clean. The press is Mephistopheles (Joker) and we are Faust who put up no opposition. We sold our soul for consumption and we’re led along to Hell. I think it would be possible to re-work Marlowe’s play. It is important to know the threat in store from the proposed Trade Agreements and from the Central Banks. Politicians must be able to tick 4 boxes to qualify. The rest (most of them) are criminals. We already found 2 politicans, Caroline Lucas and Jeremy Corbyn. We need more, please help us with the list. We need real politicians if we are going to save life on earth. Fri 3 Jul: Julian’s birthday party. I wrote him a card which said Love to Julian, the most wanted man in the world. Andreas and I enjoyed talking to Wikileaks workers from different parts of the world and to South American diplomats. We like the new Ecuadorian ambassador and his wife. Mon 13 Jul: Waterloo Station/Greenpeace/Save the Arctic/Stop Shell. It’s taken a long time – 6 months – for photographer Andy Gotts to photograph 60 celebs all wearing the same T-shirt designed by Andreas for Greenpeace’s campaign. The first to be photographed is George Clooney, the last, Julian Assange. I had thought: Great to have all this on social media! What else can we do? A book? An exhibition? All wearing the same T-shirt? Even though a lot of them pull a powerful face. John Sauven, who heads Greenpeace UK had the answer. What a brilliant idea! 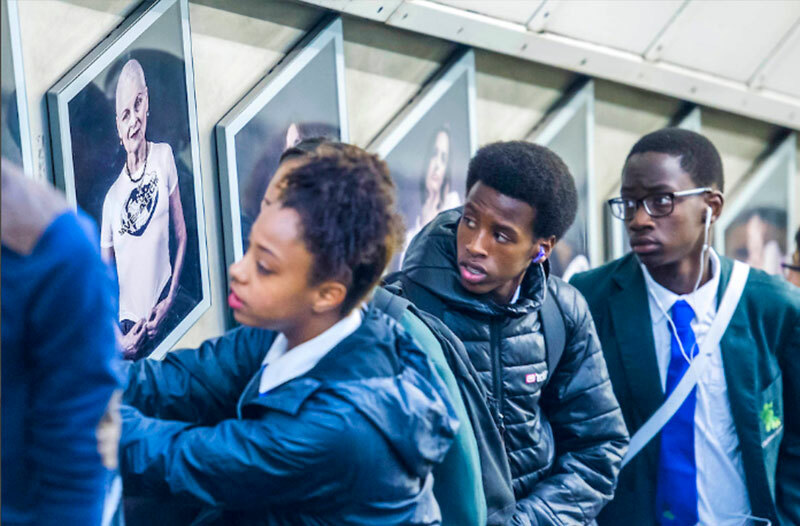 – Take advantage of everybody wearing the same graphics – The London Underground escalator at Waterloo! That’s where Shell staff go up to work at the giant Shell building on the Southbank. We all met for coffee before we went down. John couldn’t be there, a hornet had bitten him and he was in hospital with antibiotics. The press were waiting and I went down with activists Sadie Frost and Leebo. Sign the petition. I was knocked out, the effect was tremendous. I had never looked at or even noticed adverts on the escalators before. Now, all wearing the same white shirt in the same framed format the portraits plunged down to Hell either side of the moving escalator, then streamed up to Heaven when you got to the bottom. It became a new space for art – an art exhibition experience – an apt use of the work. It’s there for two weeks. It’s an experience – the camera can’t show you what it’s like.Go! (a bit late at the time of writing, but I want to do a pack of cards). One journalist who had interviewed Shell told me they said “Oh, it’s just a one-off event with celebrities”. I replied, “Wouldn’t they just like that support”? Many more stars want to join in and have a photo. We just donated 70 more T-shirts because people want to do it in other countries. Tues 14 Jul: My friend, Bruno Wang, inivited us to dinner at the Wallace Collection. I’ll tell you more about Bruno another time. We talked to Grayson Perry, all dolled up, a happy man. Andreas sat next to him and he confirmed to me Grayson’s reputation as a keen observer and thinker. 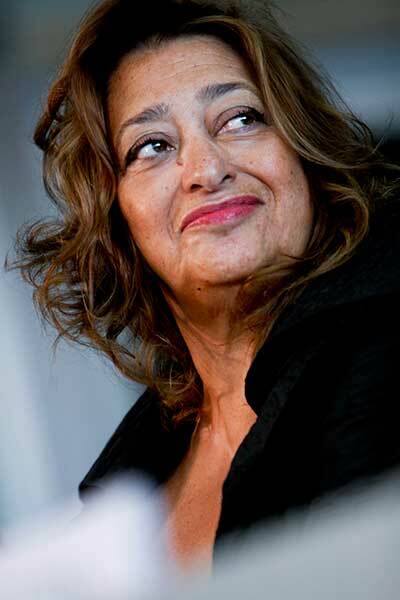 We also talked to Zaha Hadid who looked stunning in frills of different browns because they toned with her brown skin; they fell from her like feathers and set off her eagle nose. She looked so beautiful, like a carving. I sat next to her architect partner, Patrick. Bruno is Chinese and there was a lady on our table I felt friendly towards as she and her husband came from a family of English diplomats in China. 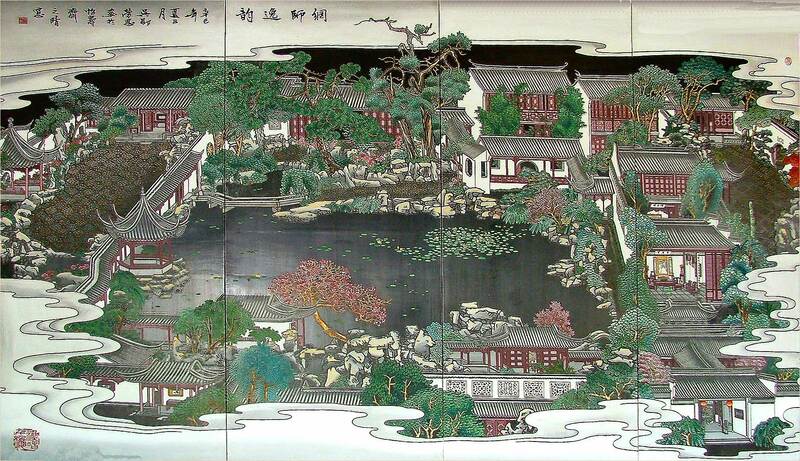 I’m a big fan of her relation Maggie Keswick whose book “The Chinese Garden” is one of my treasures. I think China up till the late 19th century is the greatest civilisation of all. Patrick thought the English lord of the 19th century was perhaps the upstanding specimen of civilisation. I said that after what Lord Elgin did to the Summer Palace in China I was not too sure. I claimed rather that France in the last quarter of the 19th century and up until WWI arrived at the peak of Western civilization and that the Salon– hosted typically by society women, e.g. Mme Strauss, the wife of a rich banker and friend of Proust – was the catalyst which made it happen. I am aware of all this because it was special subject of my friend, Gary. I told the joke of Oscar Wilde who said that an English lady opened a salon only to find she had opened a saloon. The lady I had been friendly to came back at me, “At least the English understand justice. Their law is superior to the French”. I was flabbergasted; where has she been the last 100 years? Her view might have been the jingo of the past – but now! English law has been mined away, especially recently; human-rights! – We’re back to before the Magna Carta because politicians are now making blanket laws which overule all previous law. I said, “Napoleon called us a nation of shopkeepers and I take that to mean the businessmen and the government which supports them would sell their grandmother”. That is true of Cameron, selling not only our Financial assets but also desposing of our laws in exchange for favours from America. She came back at me again, “In a world of great and rising population it is wonderful that London is rapidly building so many high-rise flats”. I buried my head in my hands – how can anybody think like that? I said the flats were for speculators and that they were pulling down the social housing. “Pah!”, she pulled a face and waved me away. I said, “Exactly. – Pah!” and gave her the same face and gesture. I am sure Lewis Carrol was thinking of Victorian society especially the socialite dons, deans and their wives of Oxford (Alice’s family?) when he devised the Mad Hatter’s Tea Party – talking nonsense, riddles which left a hole in the air and time stopped for ever at 6’o’clock tea time. Bruno’s dinner was in honour of his friend Meme and her fiancé Wang Shi. She is a famous actress who is making a documentary on London. I had done an interview with her in the afternoon. She has something to do with a course held here for Chinese people to learn polite English manners. (I think this is really sweet. Chinese people care so much about manners and good behaviour. – Confucius). Certificates were given to young people – mostly girls – at the dinner. I was also sitting on my other side next to Wang Shi. He builds more in China in one month than the English build in a year. He cares about the environment. I talked to him about “Cool Earth”. If he is really interested I hope we can arrange for Matthew Owen to see him about saving the Rain Forest. Wed 15 Jul: Back to Lorna to finish my interview. She films in a room in the Groucho Club which has nice light coming from the skylight. 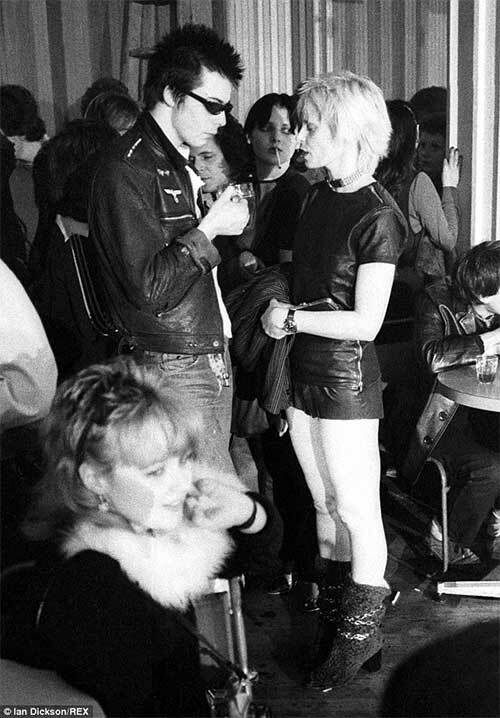 I balk at the need to discuss punk – but I managed. I hope that’s the end of it! It wasn’t important, just a marketing opportunity. I do love the look, though, and that’s really all it was – except I learnt a lot from it. And to most people it was a marketing opportunity. Sat 23 Jul: Gaelle arrives from Paris. She was once our fitting model and we had great fun. Andreas adores her. She is now an actress and she’s staying with us for three weeks while she attends summer school at Lamda. I have an idea for her and her friend Marie to create their own show called “Culture for Beginners”: you two are beginners and your audience is also. Choose a venue where you can have an intimate rapport with your audience. Put together a programme of poetry and readings but also talk about them and put them in the context of the world they came from. Maybe members of the audience can join in. You will learn from this. You could end by saying that every age and person in it has its own vision of the world which it represents in art/every work of art is a different vision of the world. The world has never before had the vision of a world destroyed by climate change. I want to add – just so you know – that I spend an increasing amount of time, more than I spend in either design or CR in improving the structure of my company, but I shan’t speak of it anymore even though it’s a very human story because it’s about people and their skills. It’s interesting and exciting but I don’t have time and energy to add this to the Diary. I also think its very good for the environment to have a company efficient in human happiness, resources and team work: quality in human values. Consider this; Chernobyl was 1/3 the size of each reactor at Fukushima, and suffered a 30% meltdown (of which was more or less contained / under control after 10 days. People can’t go anywhere near the 30% melted core for at least 100 years. Estimated that 300 Hiroshima bombs worth of radiation was released into the atmosphere during those 10 days. Fukushima has had 3 separate individual 100% meltdowns, it has not been contained. It has been releasing 300 tonnes of highly radioactive contaminated ground water into the pacific ocean A DAY since March 2011!!!!!!! The pacific ocean is essentially dead and so is the planet if we don’t wake up and act together, united as one and make a stand!!! WTF??? No one says or questions this…..Ummmm HELLO!! Please help me do the mainstream medias’ job and help be inform people about this massive deception that is taking place in front of our eyes. The BBC are today running an article about how Mr George Osborne has approved the new nuclear power station at Hinckly Point. This was my e-mail response to the BBC. How can you run such a shambolic article such as the one you’ve released about Hinkly Point and have the front to call yourself (or impose) as an independent news broadcaster funded by tax payers pennies. Where is the just and balanced argument? Where are the true facts? You’ve quoted Unite Union as saying that they are happy about Hinkly not giving off carbon, yet have failed to ask a nuclear scientist why, if Nuclear is clean and safe, there are three reactor cores currently in a state of 100% meltdown at Fukushima, Japan (that will continue in a chain reaction for milenia) currently contaminating the entire planet THAT CANNOT be stopped…? You’ve not mentioned Fukushima Reactors 1,2,3,4 and the the 100% total meltdowns they’ve suffered, or the 300 tonnes of highly radioactive water it releases into the pacific ocean every day….or the fact that Fukushima has caused the death of the pacific ocean?? Why??? Please tell me how this could possibly have been forgotten about….pretty relevant don’t you think, as you are supposed, not paid by taxpayers, to represent yourself as a independent Guardian of free speech representing the public telling the TRUTH??? An absolute crime. I should call the police. I look forward to your response, I’m sure it’ll be fair, just and balanced, like the titanic was when she sunk, right? Only problem is that it’s the human race sinking and your failure / refusal to give the public a lifejacket (true, and balanced information) is criminal. Would you be willing to restructure your system of consumption if you were given a choice to refill plastic or other containers of any given product distributed and sold, you could do so and at a lesser price buy by ( as previously stated ) reusing the products container issued to you with your initial purchase?